Registration: until September 01 in «Top Sport Travel» office (by e-mail, fax (+7-812-320 05 86), phone (+7-812-740 12 10 ), September 05 - in Hotel Elba, September 06 morning — in Azau station, afternoon and night — on Barrels, September 07 — on Barrels before Start time. Briefing: 06.09.2009 at 11.00 Azau station. 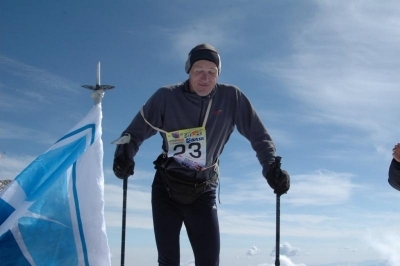 The V International Elbrus Race to Western Elbrus 5642 m will be held on September 09, 2009 in two categories: Extreme and Classics. 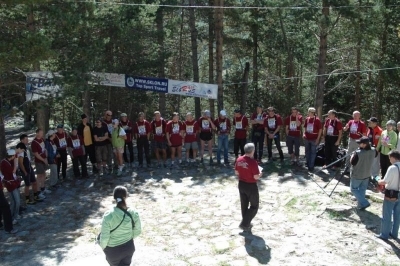 Start: 07:00 Starting Place: Garabashi, Bochki huts, 3708 m Participants: everyone with a climbing experience over 18 years old, who has passed the qualification race and were admitted by judges or those who have an wide climbing experiance and admitted by judges. 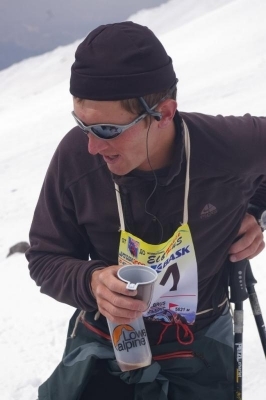 *Climbing in «Tourism» class provided for participants who wish to climb Elbrus but reached the section line during qualification race in period 2 hour -2 hours 50 minutes. Depends on number of participants Organisers provide 1-2 Mountain Guides for additional charge for partiicpants. Time of ascent is unlimited. In case of nasty weather on the day of the competition the organizers have provided for one more day, September 10th. The participants shall take it into consideration when booking return tickets. 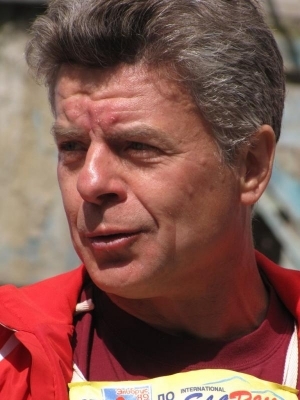 Participation requests please send us by e-mail until September 01, 2009, by fax (+7-812-320 05 86), by regular mail to the following address: Russia, St-Petersburg, 191123, Radischeva St. 40; Top Sport Travel. 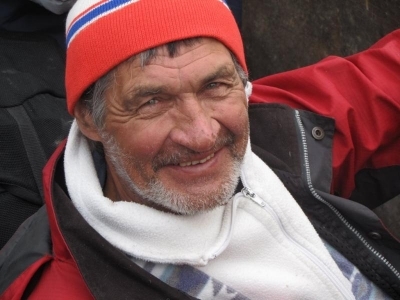 The requests will be accepted also: September 05 - in Hotel Elba, September 06 morning — in Azau station, afternoon and night — on Barrels, September 07— on Barrels before Start time. 1 stage. Qualification (September, 07, 2009). 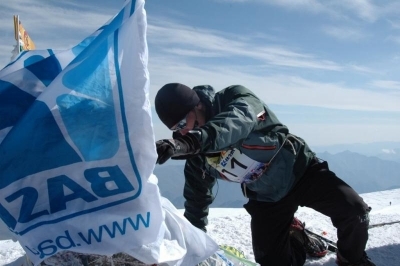 The participants who have passed the qualification standards will be admitted for the Elbrus Race. 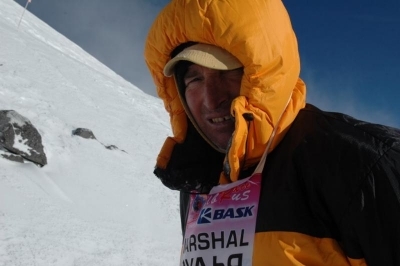 The standard will be calculated from the starting time until reaching the section line, set for Pastukhov’s Rocks. 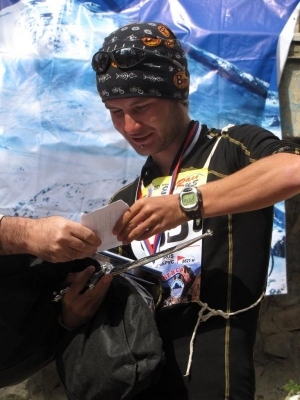 The participants are considered passed if they reached the section line independently less than 2 hours of ascent and climbed down to the starting place not later than at 15.00. 2 stage. 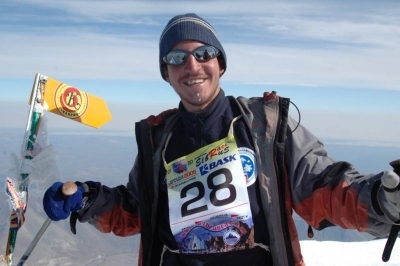 Elbrus Race (September, 09, 2009). The winners will be defined by the best ascension time in classes «Extreme» and «Classic». The competitors will bear responsibility for their safety and health. The receiving party is responsible for monitoring participants along the route, provides the first aid and informs Elbrus Rescue Station in case of emergency. 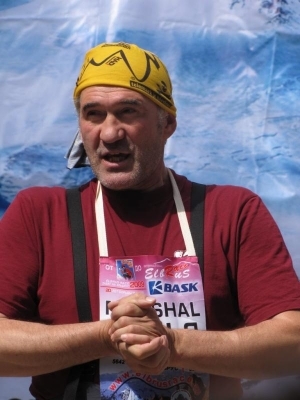 If necessary the receiving party will use race marshalls and other participant to start rescue before ariving of Elbrus Rescue team. The competitor shall consider the real weather conditions and the state of the route of the upcoming distance. Organizer has a right to cancel competitions in case of bad weather or any other circumstances.